“Move in new ways! Join Joanne for a week of expressing yourself through playful dance activities and creative arts. 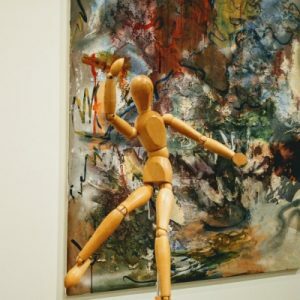 Improv movement sessions will be held in various locations around the Gallery where inspiration will be sought from paintings, sculpture, sound, poetry, buildings and the land. Over the five days the group will also collaborate on creating a site-specific dance piece. For the cost and registration please see the Art Gallery of Greater Victoria website. 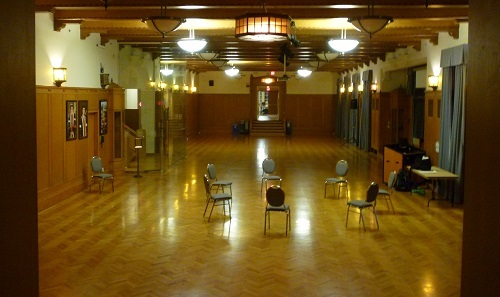 Accessibility notes: The Dancing with Art venue is an older building, and although it has washrooms that are designated as mobility accessible, the width of the restroom doorways and turn-around space may be too narrow for some participants who use wheelchairs. There are ramps to the restrooms and to the gallery rooms. The gallery is lit by bright lighting (including fluorescent lights); it may be useful to bring a hat with a visor and/or sunglasses if you are sensitive to lighting. We will spend time in two studios that have windows , natural lighting and access to fresh air; as well as movement sessions in some gallery rooms that have no windows; and we can do some activities outdoors if it is not raining (please bring weather-appropriate clothing). Please be in touch with Joanne if you would like any accessibility details, such as the dimensions of doorways and layout of the restrooms. The workshop at Royal Roads University on Saturday November 22nd felt amazing and was with an excellent group. We went from 10am – 4:30pm with Dancing into Wellbeing: A Creative Toolkit for Stress. We danced in the lovely, spacious Grant building quarterdeck, with the sunlight changing angles through the tall windows over the course of the day. We also did a field trip to the building next door with an incredible view over the forests, sea, lagoon and castle. I forgot to take a picture of the view, as I was too focused on the group’s graceful movements and enchanted by the sun going down. Dance Games in the park! 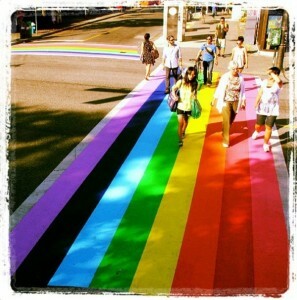 + Pride flashmob? Would you like to help create a simple dancing flashmob for Pride? Come by Wed. June 25th to come up with a flash mob together. It will likely be based on dance improvisation games, so that it is easier for people to join in. There will be no need to remember a routine or fancy choreography. No particular dance skills needed. We’re meeting up behind the Fernwood Community Centre (1240 Gladstone) – either on the field, or on the basketball court if that is more accessible for anyone. For a map: it is at William Stevenson Park in Lekwungen Homelands. For some ideas for the flash mob, here are some video examples – perhaps the flash mob could involve the liveliness of this flashmob in Mumbai (YAARIYAN presents MUMBAI QUEER FLASHMOB 2013), include a ‘follow-the-leader’ game perhaps led by a child (e.g. Little choreographer), and there could be an option during the flash mob for some people to do a bit of free-form partner dance that people will be learning on June 28th at a Homospun event. Do you have any examples of flash mobs that you really like? Feel free to comment below or send the link. Thanks! International Dance Day sidewalk party with an awesome group of dance-walkers! It has been a delightful month of dance – thank-you to everyone who has been part of it! From improv with a lovely group at the International Dance Day sidewalk dance party, to adventures in movement at the Dancing for Brain Health and Dancing for Wellbeing classes, to joyful connections at day programs and seniors’ residences, and to the past week of workshops and choreographic project with Crystal Pite and Kidd Pivot dancers – I am grateful for the enlivening, interesting month. On Tuesday April 29th at 6pm let’s dance in our own ways along accessible paths & sidewalks! It’s inspired by: “Dance Walking,” people grooving in music videos to Pharrell Williams’ song “Happy,” and International Dance Day (see quote at the end of this post). 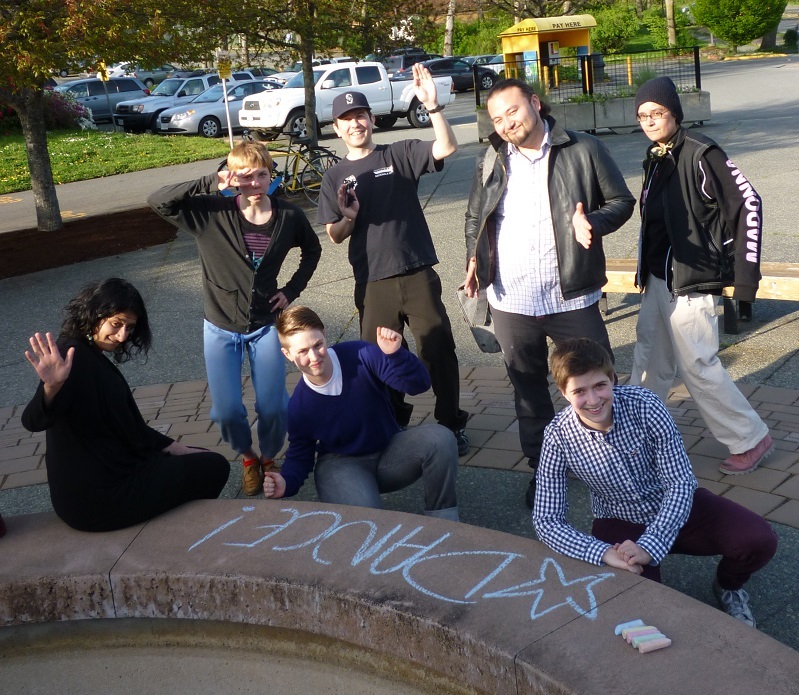 We’re gathering at 6:00pm at Camosun College Lansdowne campus, at the fountain (it’s at the entrance just off of Foul Bay near the short term parking; on the Lansdowne map look for the dot between building #2 and parking P3), in Lkwungen and W̱SÁNEĆ homelands. If you have a portable music device then bring your favourite tunes and headphones, or there will be a little portable speaker (anyone want to compile a playlist of anti-oppressive dance tunes?). Dress for the weather and bring water. 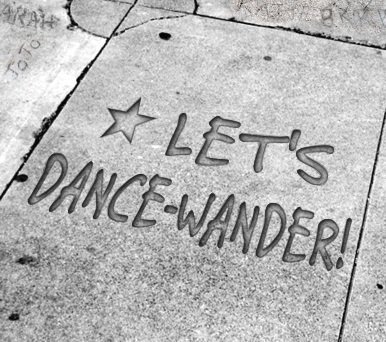 We’ll warm-up with a couple dance improvisation games then wander around the area as a mobile mini dance party, wrapping up by 6:30pm. or be a safer space volunteer for the 29th (it would be great if you’ve been in this role before or previously had a safer spaces orientation through a group like Homospun or the Anti-Violence Project). “Let dance into your life. Call dance into your life. Breathe dance into your life. Let dance be the connection between your spirit and the living universe. Let dance be the voice of your soulful resistance, your statement of I am here, in this space, now. Let dance resonate from your ancestral memories, from your DNA extending like tendrils to future generations. Call your body forth to move, to speak a language without words. Dance your dreams and poetry. Find that place deep inside your inner landscape that longs for expression. Close your eyes and remember the heartbeat rhythm, the first music you heard in your consciousness. Be the witness to a singular body animated in time and space or to the awesomeness of a multitude moving in unity. Let dance represent your metaphor, art, ritual, ceremony and ecstatic transformation. Energize, revitalize and renew yourself through dance. Renew your bond to the rhythms of the earth. Heal yourself, be yourself and together we can dance our humanity. Transform your life … let dance into your life. Join the celebration and ceremony of life; join the dance”. Deep gratitude to the Lekwungen (Songhees and Esquimalt/ Xwsepsum) and WSÁNEĆ Peoples, who have been dancing here since time immemorial, and in whose homelands Creative Momentum is visiting. This work by Creative Momentum is licensed under a Creative Commons Attribution-NonCommercial-NoDerivs 3.0 Unported License.